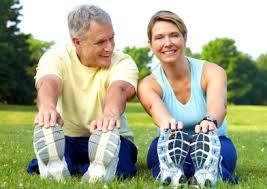 As we age, we naturally lose muscle mass faster while our bone density and flexibility begin to decrease. However, many of the symptoms of age that people experience are actually side effects of a sedentary lifestyle. The members of the senior fitness classes from Mile High Fitness in Denver, CO, know the importance of maintaining physical activity throughout every stage of life, but not everyone understands how important exercise is for seniors! Unfortunately, many people who enjoyed being active in their younger years give up their workout routines completely as they get older, and their overall health and wellness suffers as an effect. Some people throw in the towel because they feel frustrated due to weight gain or decreased flexibility. Others feel there’s no point in working out anymore and resign themselves to feeling sluggish forever. The truth is, physical activity is even more important as we get older and it’s better than any diet or skin cream when it comes to making you feel decades younger. Mile High Fitness Senior Fitness Classes focus on increasing strength, agility, flexibility, and endurance through a variety of engaging classes like Tai Chi, Chair Yoga, Traditional Yoga, Zumba® Sentao, and Zumba® Gold. Strengthening workouts like these can actually increase bone density and flexibility, which helps protect people of all ages from injury. Mile High Fitness offers seniors the unique opportunity to enjoy high-quality physical fitness training that is specifically structured and taught to be accessible to people of all ages and abilities. To bring Senior Fitness Classes to your home, apartment complex, community center, or residential facility call the personal trainers from Mile High Fitness today at (720) 436-3899. For more information, visit their website.